May 8, 2017. NYC City Hall - 11 am. An hour of long-winded and impassioned support for the sainted, Linda Sarsour. Fists held high and repetitious chants supporting Linda were interjected after many speeches. Since the speakers were many, I decided to grab excerpts in one video. What resonates: there is nothing Linda has said that should be criticized. She is above reproach. "If you don't know Linda, you have no right to criticize her. She is a role model for all women." Beloved. Respected. Protected. "LOVE Trumps HATE." CUNY appears to be holding firm on this egregious decision. 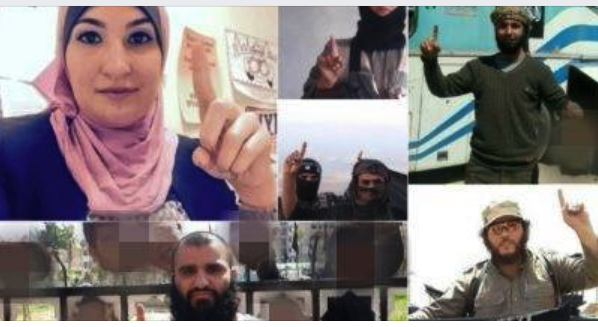 A Muslim woman (LINDA SARSOUR) who has referred to “Zionist trolls” and lauded the “courage” of of rock-throwing Palestinians will deliver this year’s keynote address at the commencement ceremony of a New York City university. Linda Sarsour is listed as a featured speaker for the June 1, 2017, graduation at CUNY’s Graduate School of Public Health & Health Policy, according to the school’s website. Chirlane McCray, First Lady of New York City, will receive an honorary Doctor of Science in Public Health degree in recognition of her leadership of ThriveNYC, the most comprehensive mental health plan of any city or state in the nation. Mary Bassett, Commissioner of the New York Department of Health and Mental Hygiene, will receive the Champion of Public Health award for her transformational work addressing population health in New York City. 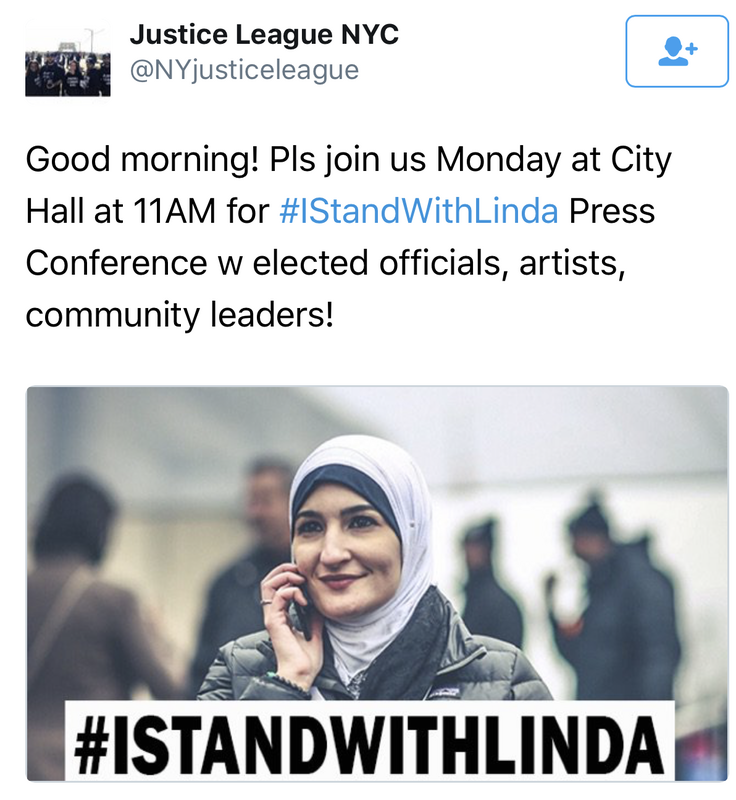 Linda Sarsour, co-organizer of the National Women’s March and former executive director of the Arab American Association of New York, will deliver the keynote address. Assemblyman Dov Hikind, D-Brooklyn, says it is “nuts” that a taxpayer-funded institution like CUNY would invite a supporter of Shariah law to speak, CBS New York reported. … has said in her Tweets, referring to “Zionist trolls” and states (that ) “Nothing is creepier than Zionism.” She SUPPORTS Violence! CUNY. Stop this Madness. 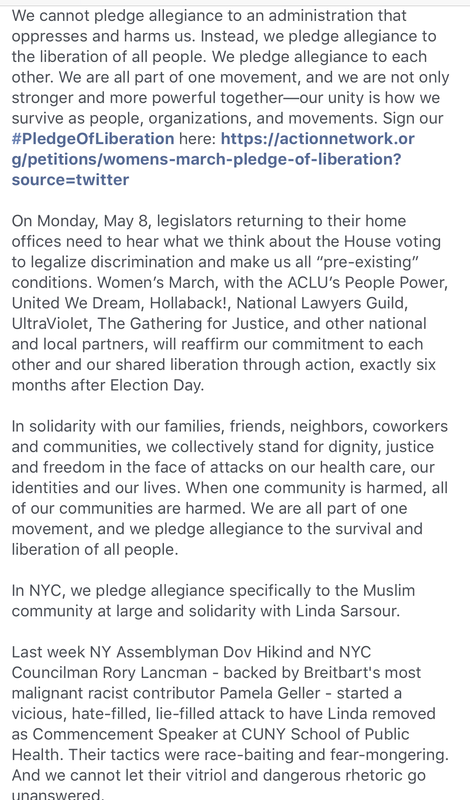 Say NO to Sarsour! The Protest is ON. Outside the CUNY mid-town offices - Be THERE to protest terror and hate at CUNY-- this will not stand. DATE CHANGE DUE TO JEWISH HOLIDAY. John Guandolo, Counter Terror Expert, Founder of UnderstandingTheThreat.com. 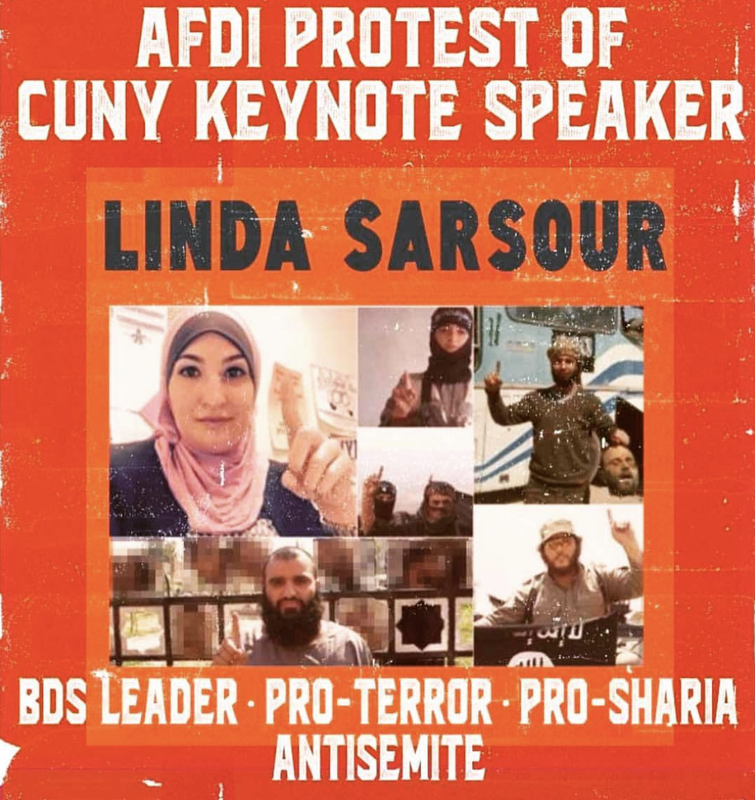 CUNY has invited a pro-terror, pro-shariia, antisemite to give the keynote commencement address. And they will not reconsider. Universities have disinvited Ayaan Hirsi Ali, Nonie Darwish, Ann Coulter, Milos, legions of conservative thinkers and voices in defense of freedom, but a vicious, pro-sharia, Jew hater they will defend to the death and that is it right there. They fear jihad. They fear Islamic supremacists. They know no harm with come to them if they smear, defame, libel or cancel us. 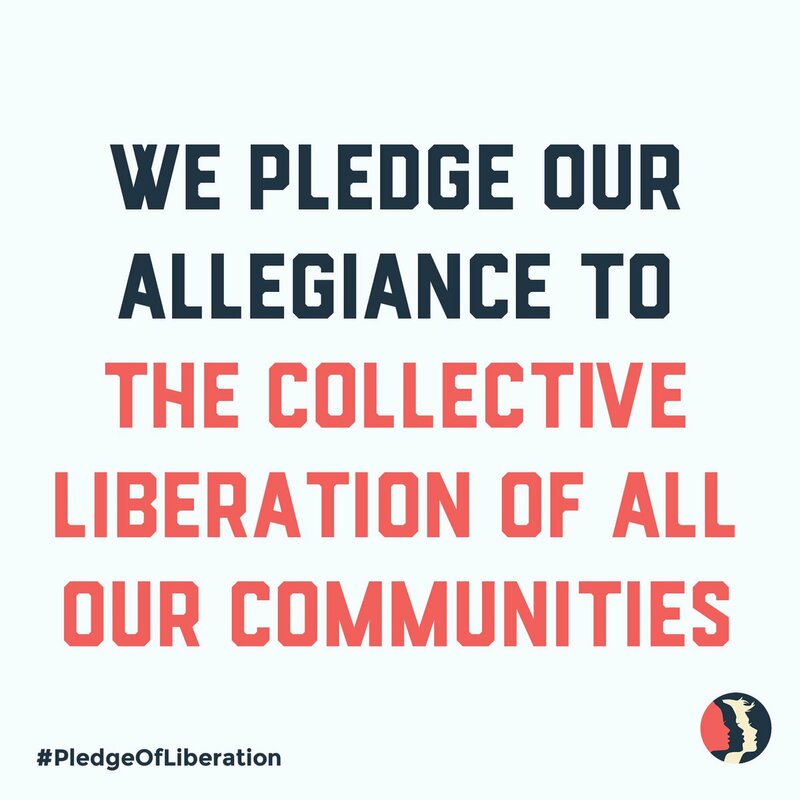 They know we don't destroy, maim, behead like Sarsour supporters and their violent running dogs on the left.